Manual. Návod na programovanie xmega pomocou USBasp programátora a avrdude. - PDI. Stiahni (Download manual and source code of PDI programmer) návod - manual and source - PDI programmer. Schéma, hex súbor, avrdude, obrázky (schematics, hex file, program, pictures). K USBasp programátoru je treba použiť tento adaptér (prevodník). Zenerove diódy slúžia na prispôsobenie napäťových úrovní. 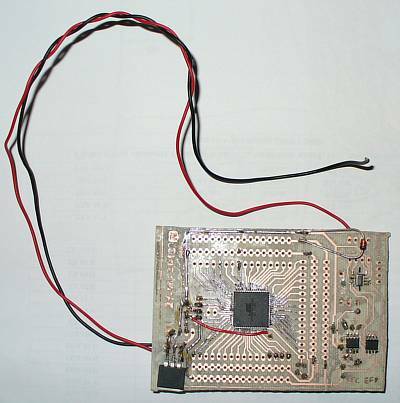 The USBasp programmer need to use this adapter (converter). Zener diodes are used to adapt the voltage levels. Download patched avrdude supporting PDI programming v 5.11 svn. Poznámka: Nefunguje na USB porte v 3.0. Modifikovaný program pre programovanie procesorov Xmega cez PDI. 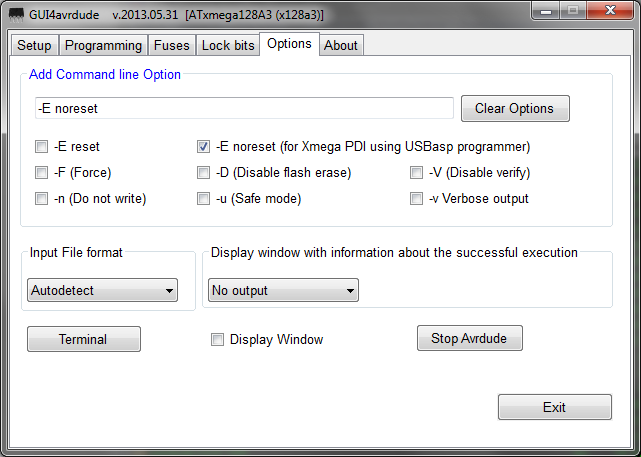 Modified program for programming the XMEGA through PDI. .NET Framework 2.0 is needed. Before using "Search" function you should select any xmega device. In tab "Options" you must select "-E noreset". Poznámka: Nefunguje na USB porte v. 3.0. I recommend 32 bit OS. or download MinGW.zip, unpack to c: and run it as Admin by run.bat. 2. download the source of avrdude and unpack it to your hard drive in MinGW folder. 3. download the patch: *.diff. 4. run the MinGW using this syntax: C:\MinGW\msys\1.0\msys.bat (type your own path to MinGW and run as Admin). 5. set the path to avrdude source code, patch and compile it inside the MinGW window. 6. You can add missing library to MinGW. 7. You have patched avrdude.exe and avrdude.conf in folder avrdude-6.0.1. 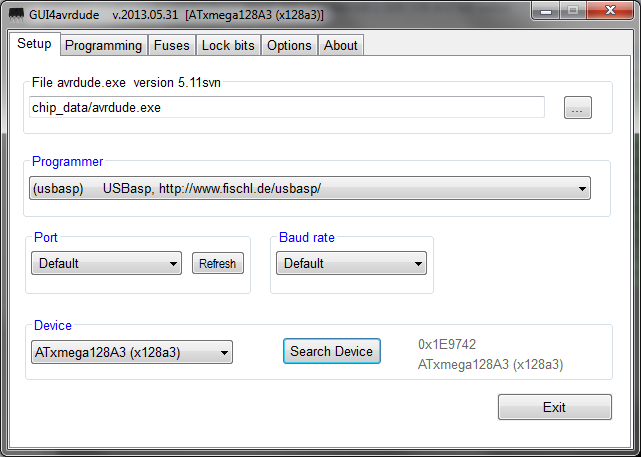 Download patched avrdude v 6.0.1 supporting PDI programming via USBasp . Work for xmega procesors and others. New version (6.1/2014) patched avrdude 6.1 supporting PDI programming via USBasp programmer. - It is not working with includes drivers for libusb1 and ftdi ... why?